In Paris recently, on my way to Bordeaux to take part in an expert panel who analysed Bordeaux's proposed bike plan, I hung out with my friend Rebecca. 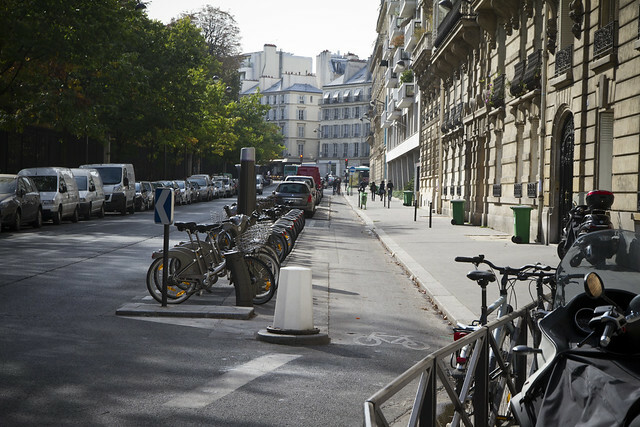 We took Velib bike share bicycles to Montparnasse train station so I could catch the TGV to Bordeaux. Here's a new cycle track behind Parc du Luxembourg. Nicely designed. My suitcase didn't really fit in the Velib basket. But I brought a bungee cord, 'cause I knew that. I prefer the racks on Bicing in Barcelona. You can squeeze anything in there. 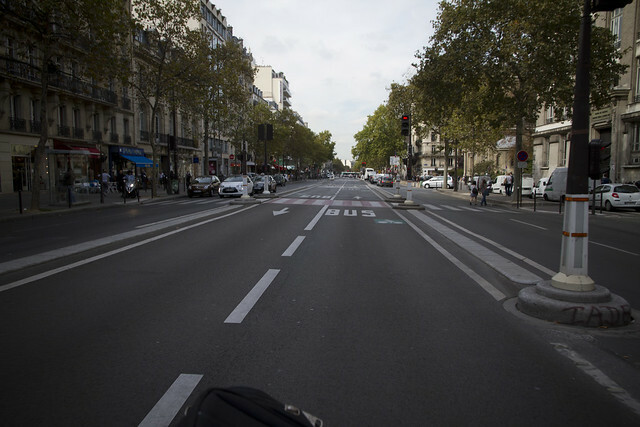 When Velib started you could share the bus lanes in Paris. Great in that city because the buses stop so frequently. Then, I've heard, they disallowed cycling in the bus lanes. Now, on certain stretches, it's allowed again. 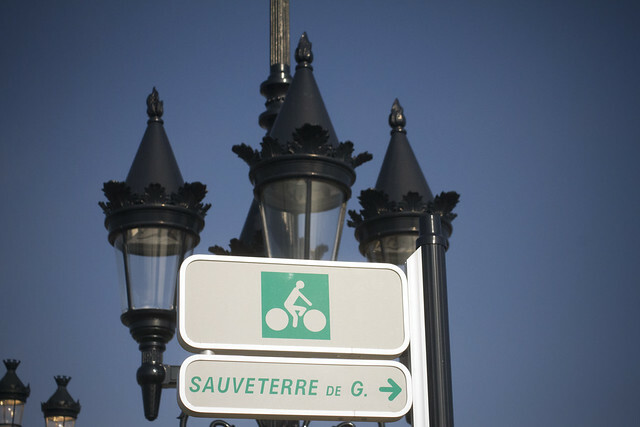 Here, heading down towards Montparnasse. Nice and wide. 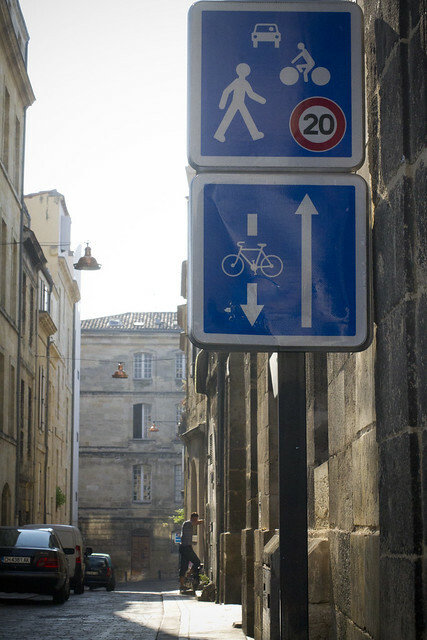 Bordeaux has 9% modal share for bicycles in the city centre. 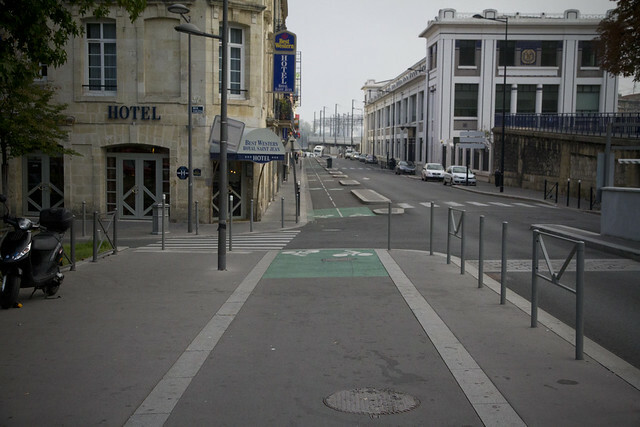 Here's a cycle track (one of those pesky bi-directional ones, but hey). A bike box. 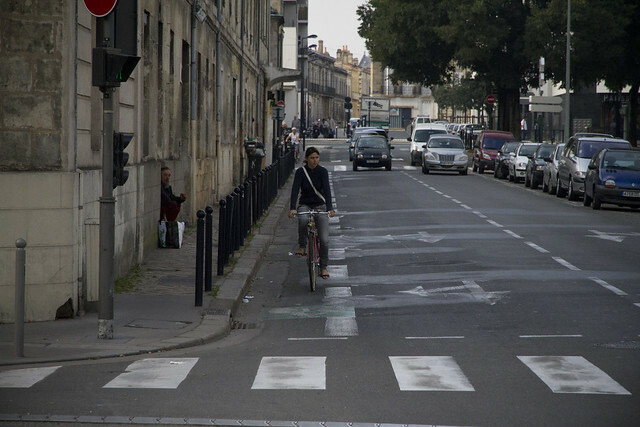 Pulling the stop lines back for cars is an incredibly effective traffic calming measure at intersections for cyclists and pedestrians alike. We've been doing it in Copenhagen since 2008. Basic painted lane on a side street. 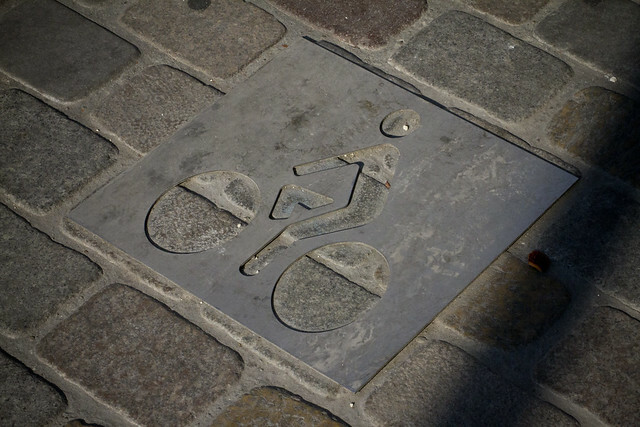 Cool, elegant bike lane pictogram near the station. 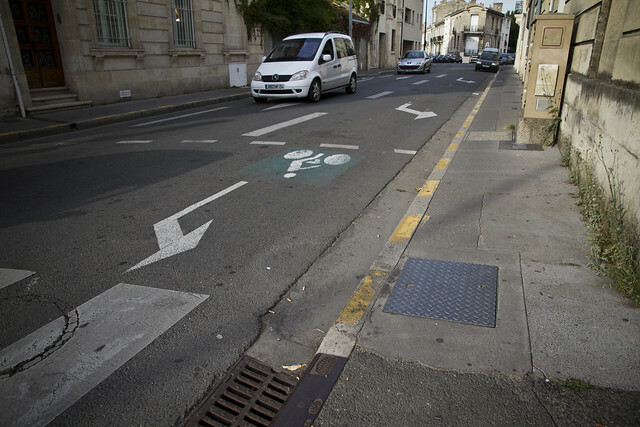 Nothing like a 20 km/h zone complete with contraflow for bicycles. 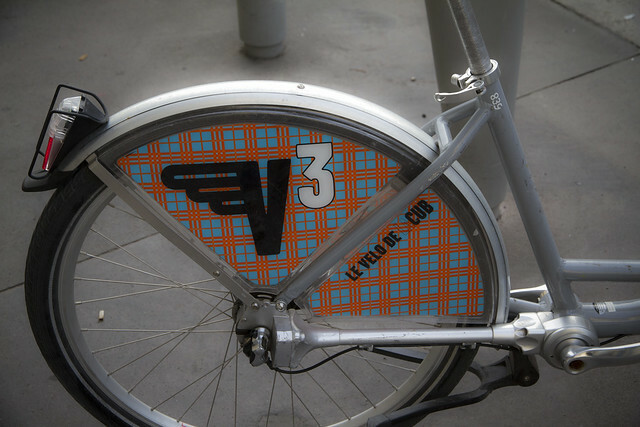 Coolest graphic design I've ever seen on a bike share bike. It was a public competition to design the graphics and the logo. And it's a great success so far.